Rock On!! 2 is a 2016 Bollywood musical drama film directed by Shujaat Saudagar, produced by Farhan Akhtar and Ritesh Sidhwani. It stars Farhan Akhtar, Arjun Rampal, Prachi Desai, Shraddha Kapoor, Shashank Arora and Purab Kohli in lead roles. The soundtrack on the film is composed by Shankar-Ehsaan-Loy, with all the lyrics written by Javed Akhtar. 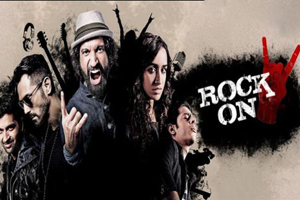 Here is the link of all the songs lyrics and videos of Rock On 2.